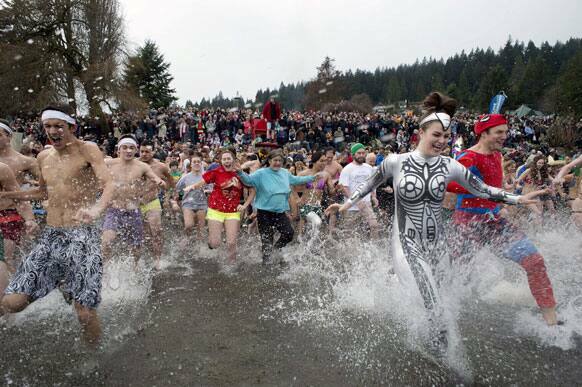 People run into the cold waters of Deep Cove in Indian Arm, North Vancouver during the Penguin Plunge on New Year's Day. 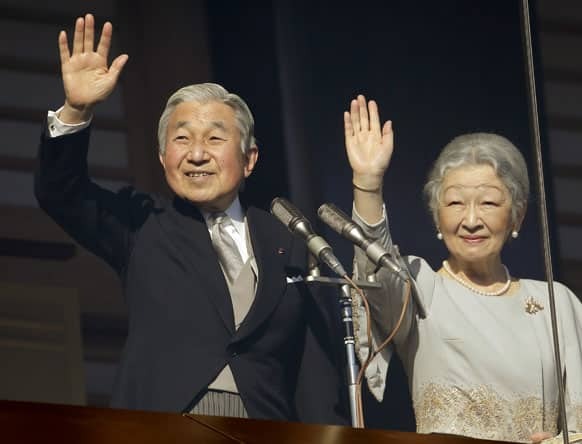 Emperor Akihito and Empress Michiko show at a balcony as they acknowledge to well-wishers for the new year's celebrations at the Imperial Palace in Tokyo. 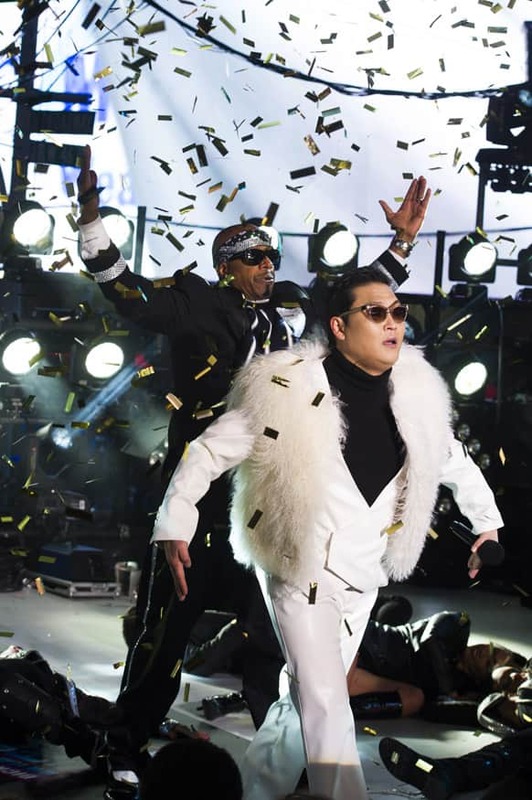 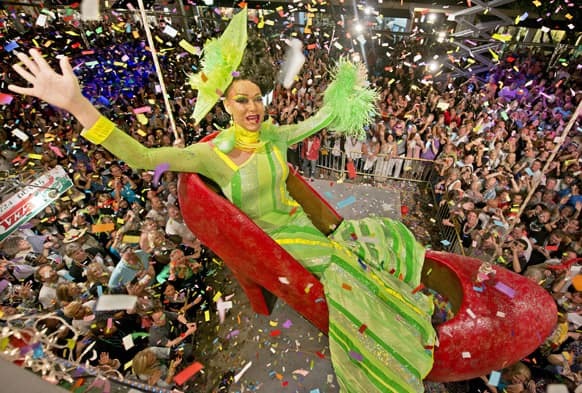 Gary Marion, a female impersonator known as Sushi, hangs in an oversized replica of a women's red high heel over Duval Street, at the Bourbon Street Pub Complex in Key West, Fla.
Psy and MC Hammer perform in Times Square during New Year's Eve celebrations, 2012 in New York. 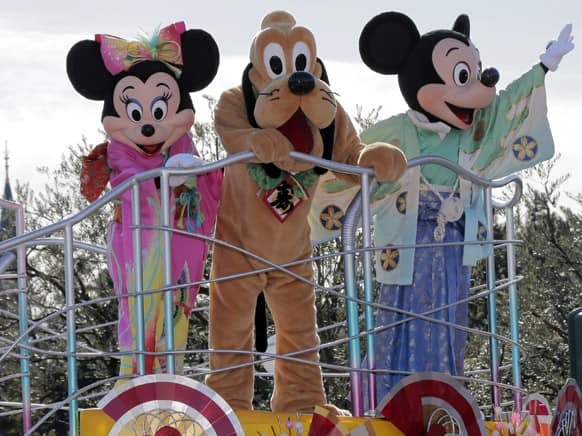 Clad-in kimono, Mickey Mouse, right, Minnie Mouse, left, and Pluto entertain visitors to the Tokyo Disneyland during the New Year celebrations at the amusement park in Urayasu, east of Tokyo. 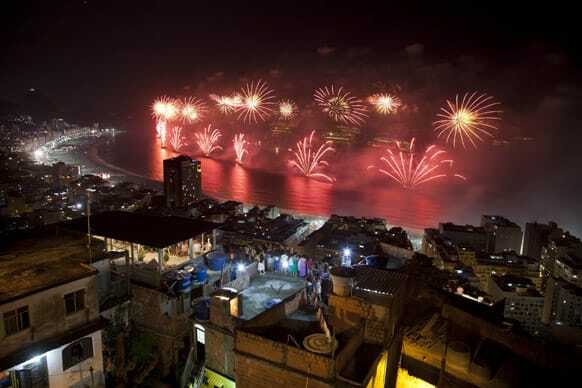 People watch fireworks exploding over Copacabana beach during New Year celebrations at the Pavao Pavaozinho slum in Rio de Janeiro, Brazil. 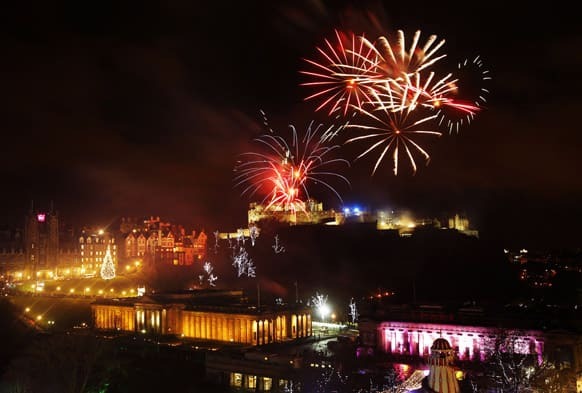 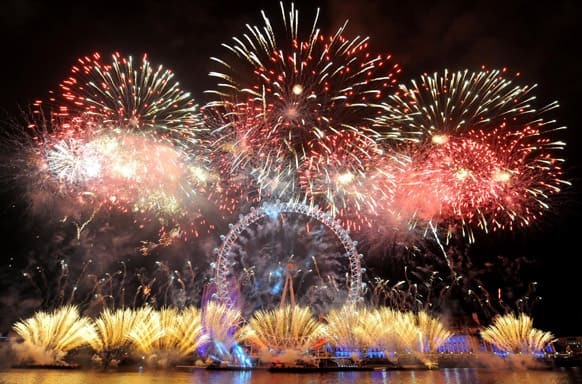 Fireworks explode over the London Eye in central London, as part of the New Year celebrations. 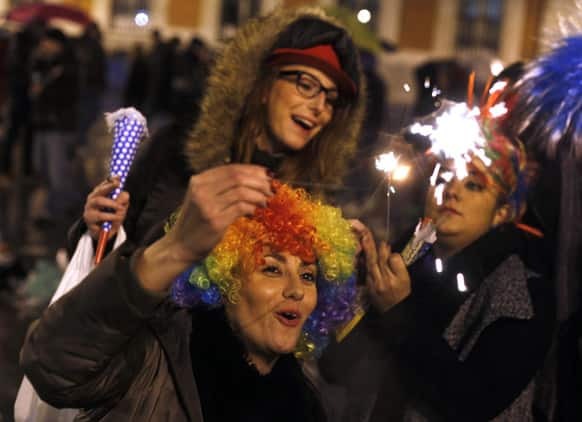 Revellers celebrate with fireworks during New Year's celebrations in Madrid, Spain. 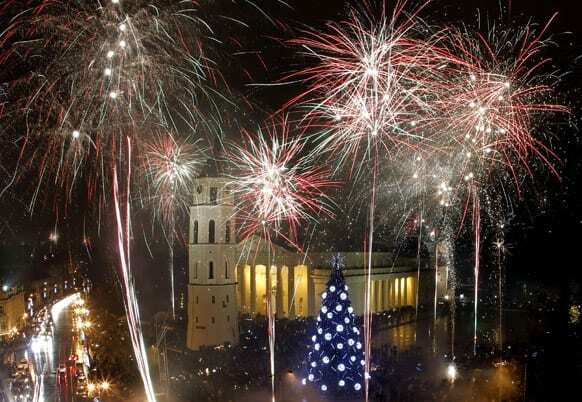 Fireworks explode in the sky during the New Year's celebrations in Warsaw, Poland. 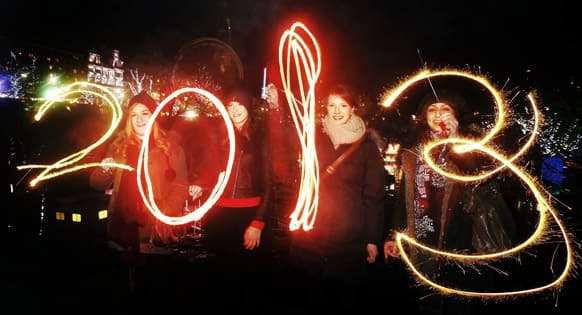 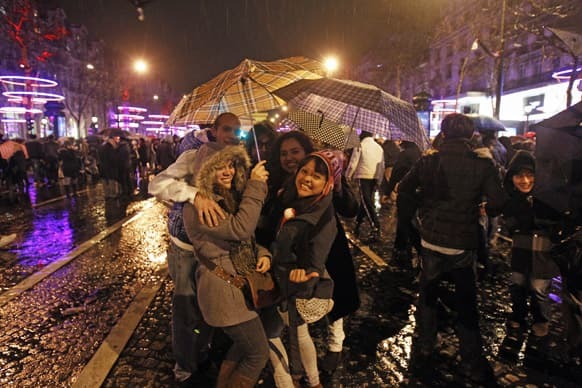 Revelers celebrate the New Year on the Champs Elysee in Paris. 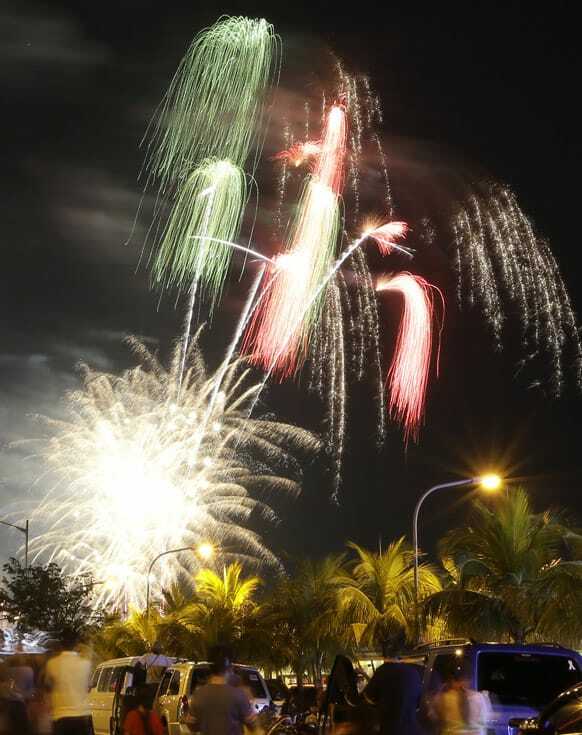 Fireworks light up the sky to welcome the New Year, at the scenic Manila Bay in Manila, Philippines. 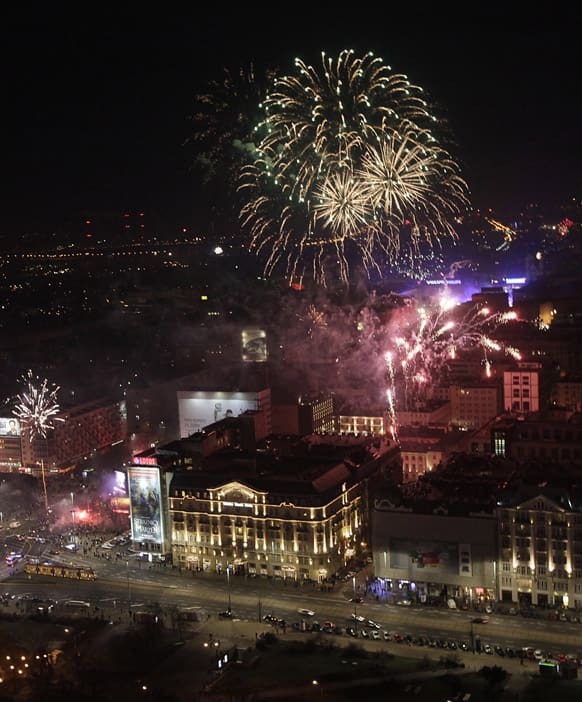 Thousands of people flock to the main business district on New Year's eve in Jakarta, Indonesia. 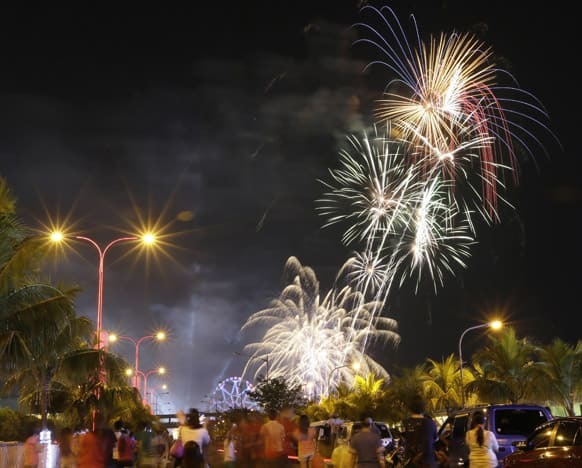 Fireworks light up the sky to welcome in the New Year, at the scenic Manila Bay in Manila, Philippines.